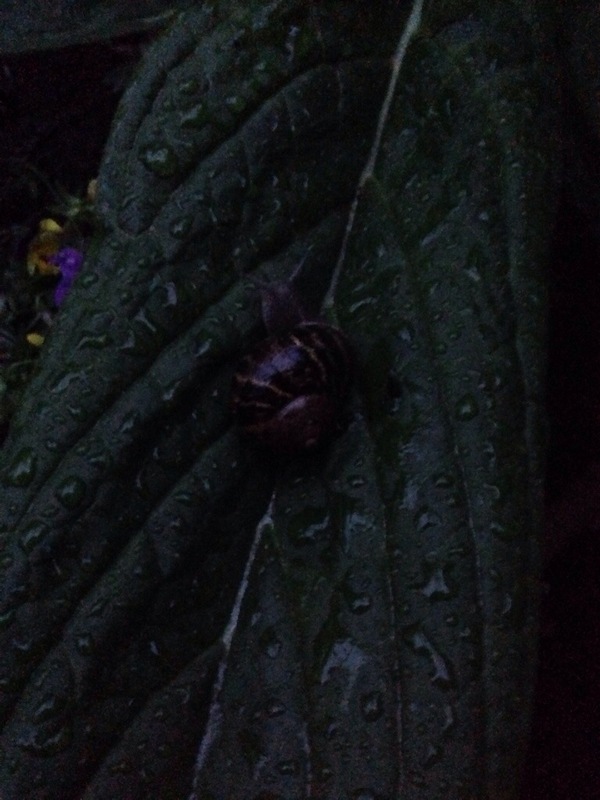 One of the greatest banes most gardeners have to endure is the onslaught of snails after any sort of rain that happens just before (or during) nightfall, where the ground is nice and wet. As soon as the sun sets, these pesky little land mollusks rush out of their daytime abode and home in on a plant of choice to start feasting away – greedily I should add. It’s not so much a problem for established plants because a hole here or there really makes no difference. It gets annoying however when they start to attack young vegetable plants. I have had cucumber seedlings disappear overnight – the only telltale sign of the crime is the shiny slick of silvery trail left behind by the criminal the following morning. They make absolutely no effort in covering their tracks. Well, unlucky for them, I happen to take pleasure in going out to the garden in the rain, at night – armed only with an umbrella – to pick and discard each and every one in reach and sight. Strangely enough I find this activity quite fun and satisfying at the same time. I feel like a lifesaving hero. I think everyone should do the same. I think nature works favorably towards snails. They manage to get everywhere and by any means possible as well. 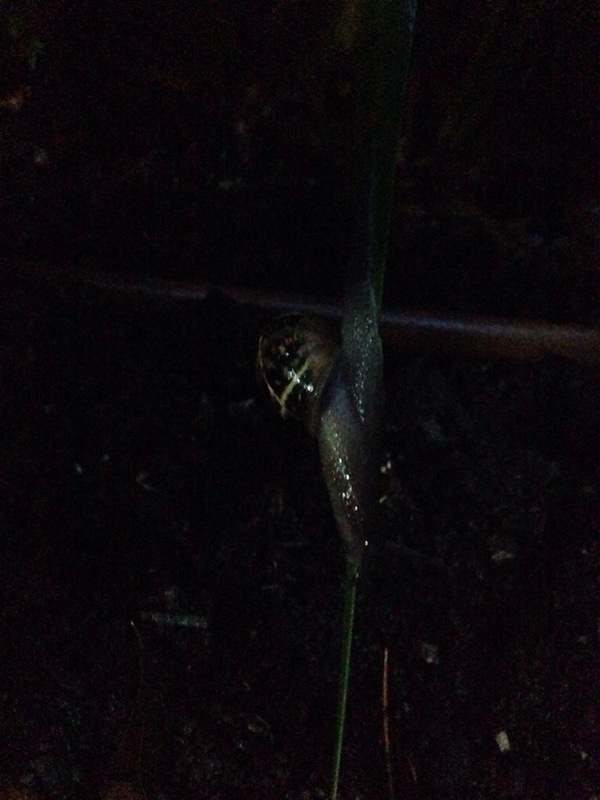 In the dark photo below, the snail has actually climbed up a long, slender leaf of our Dietes Iridioides plant and, with it’s weight up high, has caused the tall leaf to bend down – effectively creating a bridge that landed right in the middle of my rocket seedling patch which I had surrounded with a natural snail bait the day before. I don’t think the snail was smart enough to work that out on it’s own – I hope not anyway.